On a day devoted to giving, students at Brookville Center for Children’s Services, an organization serving children with intellectual and other developmental disabilities, were looking for a unique way to get involved with #GivingTuesday. Two classes at the Children’s Education Center on AHRC’S Brookville Campus raised over 400 pounds of canned goods, pantry items and other non-perishable foods. Collecting throughout the month of November, the classes reached out to Long Island Cares to present them with their donation on #GivingTuesday. Students in the classes vary in ages, ranging from teens to young adults, all with developmental disabilities. Not only was the collection a great way for kids to make a difference during the holiday season and understand the importance of giving, but the process of going class to class to collect daily donations enhanced their socialization skills. 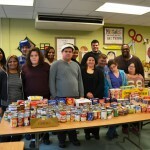 The students at Brookville Center are now committed to regularly contributing to Long Island Cares and are looking forward to their next collection. Stories of theater, design and fairytales came to life as they raised money to benefit the children’s programs at the Old Westbury Gardens. Approximately 125 ladies lunched at the old mansion, built in 1903. Guests were greeted by an old-fashioned, Cinderella-style horse and carriage at the mansion’s entrance. To make the event even more festive, ladies of the Children In Bloom Committee wore beautiful ball gowns and were crowned with tiaras, for a perfect princess look. During lunch, Carol Walsh, chairman of the board, discussed how important it is for children to spend time at the garden. She said that 9,000 Long Island students have visited the gardens for free, along with 4,700 Girl Scouts. She said that science grades rose an average of 81 percent for students who attended the program at the gardens, and that it was important to build “a lasting legacy of environmental conscience” for these children. The keynote speakers for the event were six-time Tony winner for costumes William Ivey Long and award-winning actress Susan Lucci. Long discussed in detail his career and his costumes. A highlight for many was when he showed, for the first time in public, a video of how Cinderella’s costume magically turned from peasant girl to princess with a swirl and a pull of a string. Native Long Islander Susan Lucci spoke next about how, as a child, she played in Old Westbury Gardens, stating that this place “is an oasis of beauty.” She discussed that her first role at 11 years old was Cinderella and that she loved to play dress up with her mom’s clothes. She also talked about her leading role in Annie Get Your Gun and working with Long. 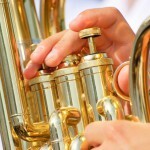 For information regarding events at Old Westbury Gardens, go to www.oldwestburygardens.org. 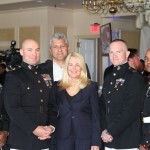 Hundreds of civic, business, community and elected officials gathered in Baldwin at the Coral House to support the annual kick-off of the Long Island Toys for Tots Drive on Monday, Oct. 27. The toy drive is the nation’s largest gift program for children during the holidays. Marine Corps Major Chuck Kilbride gave special recognition to the many people who make Toys For Tots possible locally, including U.S. Postal Service workers, marines, legislators, and the police and fire departments, who work tirelessly to collect toys each year. The hundreds of guests were treated to special performances by the F.R.E.E. Players Jazz Ensemble and the American Bombshells trio. This was the third year that the Toys For Tots kick-off event was held at Coral House. Since the 1990s, Anton Community Newspapers has been a major sponsor for the Toys For Tots charity campaign. Once again, Anton Community Newspapers will serve as an official drop off location for Toys For Tots. Those who would like to make a donation of a new, unwrapped toy for a child who may otherwise go without the magic of the season are invited to do so at Anton’s office, 132 E. 2nd St. in Mineola, weekdays from 9 a.m. to 5 p.m. until Monday, Dec. 15. Toys from communities across Nassau and Suffolk counties are collected by individuals and businesses, then distributed by the members of the U.S. Marine Corps locally to underprivileged children. For more information about additional collection sites, donation information or to request a toy distribution, visit www.garden-city-ny.toysfortots.org or contact Gunnery Sergeant Jaime Alvarez or Gunnery Sergeant Jarvis Sturdivant at 516-228-5669. On the crisp Friday evening of Sept. 19, The SASS Foundation for Medical Research held its annual Gala Dinner Dance & Casino at the glorious Guastavino’s in NYC. This year the event brought together over 220 business people, medical professionals, loyal supporters and benefactors in the magnificent architectural splendor, which served as the perfect backdrop for gathering to raise funds for cancer research. The enthusiastic attendees paid tribute to very special individuals on this extraordinary evening.The Business Leadership Award was presented to Gillis Poll and George Poll, Long Island’s premier restaurateurs. With six outstanding restaurants, the Poll brothers feel the need to give back to the community that has supported them over the years Gillis and George have been passionate about supporting The SASS Foundation, as well as other local charities. The Humanitarian Award was bestowed upon Dr. Mark & Virginia “Jinny” Silver. This couple are true humanitarians in every sense of the word. For over 20 years, Dr. Mark Silver, a gynecologist, has given of himself and his time to The SASS Foundation through speaking at Breast Cancer Awareness Days and Ovarian Cancer Awareness Days. In 2012, he was the recipient of the Gerry Trunz Memorial Award at the SASS Ovarian Awareness Day. Jinny’s deep rooted commitment to philanthropy and giving back is far-reaching. As a 20 year breast cancer survivor herself, Jinny, has made The SASS Foundation a very worthy part of her philanthropic endeavors. Joan Ambrosino, Education Administrator for The SASS Foundation, is the perfect person to have been selected as the recipient of the 2014 Courage Award. After being diagnosed with breast cancer in 2002, Joan has become a passionate advocate for cancer research to find a cure and education to save lives. Joan works tirelessly, as she believes that knowledge is power and early detection helps to save lives. Joan is passionate about the mission of The SASS Foundation and is grateful for privilege of being part of its mission and affording her the opportunity to join in the fight and to give back. The co-founders of The SASS Foundation, Marty & Barbara Sass and Dr. Francis Arena, greeted the throngs of happy revelers, as the guests participated in the casino, and silent and chinese auctions — with net proceeds going to cancer research. 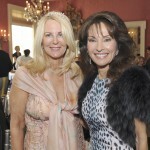 Former honorees in attendance were Angela Anton and John Catsimatidis — both wonderful friends of The SASS Foundation. Some major corporate sponsors of this event were, Kramer Levin, Diligent Credit Solutions, Shiel Medical Labs, Margolin, Winer & Evens, NYU Langone Medical Center, Zwanger Pesiri Radiology & Emerge Labs. We thank them and the many individual supporters for their help in underwriting this fabulous evening. The funds raised at this event will go toward medical research and to education programs which we hope will help to win the fight against cancer. In tribute to our nation’s veterans, and in support of the Wounded Warrior Project, the Northwinds Symphonic Band, under the direction of Helen P. Bauer, will open its eighth concert season with a special performance at the North Shore High School Theater on Sunday, Nov. 2 at 3 p.m.. The band will honor veterans past and present, performing a variety of patriotic standards as well as new publications that pay tribute to the rich history of our country and American military personnel. Northwinds is proud to be performing American Salute, by the late, great American composer and former Great Neck resident Morton Gould. American Salute is an exhilarating and poignant concert band piece based on the American folk song When Johnny Comes Marching Home. Dr. Eric Gould, son of Mr. Gould will introduce the piece at the concert. Also included in the program will be two marches by John Philip Sousa, a Salute to the Armed Forces and music by Robert W. Smith and Irving Berlin. Other selections include an arrangement of George Gershwin favorites, and Let Freedom Ring, which recounts our rich heritage in patriotic song. Renowned soprano Stephanie Horowitz of Merrick, will be featured in There’s A Place Called Home. This poignant arrangement of Alan Mencken’s hit song was originally created for the US Army Field Band and is being performed with special permission. Ms. Horowitz will also be performing a beautiful new rendition of All the Things You Are by Jerome Kern, arranged exclusively for Northwinds by band member Barton Green. Glen Cove resident Robert Staade will display his extensive collection of military memorabilia dating from WWII to the present. Admission to the concert is free. Bring the entire family. For details, call 516-759-9694 or email Helen Bauer at hband50@optonline.net. The North Shore High School Theater is wheelchair accessible. October is Breast Cancer Awareness month and the Great Neck Breast Cancer Coalition (GNBCC) is thrilled to share that so many Great Neck vendors will be participating in exciting fundraisers for the cause. On Oct. 23, both RED Boutique at 75 Middle Neck Rd. and Elaine’s Bistro at 8 Bond St. are donating a portion of their proceeds to GNBCC. Shop RED Boutique from 10 a.m. to 8 p.m., and you will receive a 10 percent discount on all clothing and a 10 percent donation will go to GNBCC for every beautiful item purchased. Elaine’s Bistro will donate 20 percent of their delicious meals for both lunch and dinner on Oct. 23. For the entire month of October, Pinpoint Fitness, 145 Station Plaza, is raffling off 10 free workout Sessions with “Wayne” for one lucky winner. Raffle tickets, $10 each, may be purchased at the shop or by calling Wayne at 516 829-5900 or 516 924-0352. All proceeds from this fundraiser will be donated to GNBCC. Sharon Epstein of the “Wellness Circle” is donating a portion of proceeds through October. In Sharon’s classes you will strengthen, stretch and become more balanced and coordinated, wonderful for all women and especially helpful for breast cancer survivors. Sharon teaches at Bonda Yoga, 4A Bond Street, on Thursdays, 1:30 – 2:45 PM and at Confidanze Fitness (Zumbrazil), 634 Middle Neck Rd., on Mondays from 8:15 to 9:30 p.m. A package of ten classes costs $200. If you bring a friend you will both receive a 10% discount. To make an appointment, call 917 693 8287, or email: sharonepstein@me.com. On Nov. 9, Thomas Cole Salon, at 7 Bond St., is having a “Cut- A-Thon” fundraiser, 11 a,m, to 3 p.m. You will get a great half price haircut and all of the proceeds will be donated to GNBCC. Thomas Cole will have a fabulous bagel brunch for you to enjoy and other Great Neck vendors, including Nardo Shoes and Bee Organic will be participating in this event by donating exciting raffle prizes. There will also be discounts on manicures and other salon services. In addition, Linda Silver Designs, located at the salon, will donate 20 percent of sales on clothing, jewelry, and other accessories to GNBCC. Call early for salon appointments at 516 829-2898, scheduled on a first come, first serve basis. GNBCC thanks the outpouring of support from the participating vendors and patrons of the Great Neck community. To find out more about the Great Neck Breast Cancer Coalition visit www.greatneckbcc.org or our Facebook page. Hundreds of Long Islanders are expected to join the fight against autism and other developmental disabilities with three different events packed into one fun-filled day to benefit Long Island’s largest autism provider. The Developmental Disabilities Institute welcomes children and adults with autism and other developmental disabilities to the DDI Walk, Run and Ride for Autism, on Sunday, Oct. 12 at the Holtsville Ecology Center. The walk, run and motorcycle/classic car rally will help to promote community support for individuals with Autism and other developmental disabilities. This year’s event Grand Marshals are seven extraordinary people who for the second year in a row, spent one week walking 128-miles from the Brooklyn Bridge to the Montauk Lighthouse in order to benefit DDI. Raising over $40,000 from both walks, Nathan Holmes, John Kenny, Morgan Zajkowski, Ellen McBurney, Peter Barker, Marita Rausch and Liam Kenny have proved to be worthy honorees. Registration for the 5K Fun Run will begin at 8 a.m. with the run to commence at 9 a.m. The scenic 5K Walk through Suffolk County’s Holtsville Ecology Park will feature activities for the entire family along the way, followed by a festival in the park complete with picnic lunch, music, games, a petting zoo and more. Registration for the walk begins at 9 a.m. and with the walk beginning at 11 a.m. The family activities will continue throughout the day until 2:30 p.m. This year the event will not only feature a Motorcycle ride, but also include classic and show cars, sponsored by Hansen Home Designs. Motorcycle and car registration begins at 9AM at Hansen Home Designs located at 1541 Smithtown Avenue in Bohemia. Kickstands are set to be up by 10 a.m. A rain date has been set for Sunday, Oct. 19. For more information and to register call 631-366-2914 or visit walk.ddiny.org. 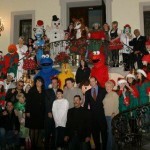 Toys Of Hope and Oheka Castle, with co-hosts Animations Family Entertainment, will join together for the 20th annual Toys Of Hope Children’s event benefitting over 300 needy children on Thursday, Dec. 18. On that day, children ages 3-5 will be treated to a party with clowns, a DJ, Spongebob, Elmo, Dora the Explorer, the Cat in the Hat and many celebrities and sports figures to make it a day that they will never forget. This is a closed party and by invitation only. Donation admission is $75 at the door, $50 if prepaid by Dec. 1. If you are interested in sponsorship or would like to come to this party and be put on the Guest List, please contact Toys of Hope at 631-271-TOYS. Donation admission pays for one child’s bag of presents. In addition to sponsoring the party as a “Golden Key” sponsor, they also provide funding for new winter coats for thousands of needy children every year. Toys of Hope could not have this party without the support of The Pat Covelli Foundation. Known for her love of exotic cars, sophisticated leather fashions and a penchant for giving back, part-time Long Islander Joanne Del Prete-Rosten can often be seen driving around town in her Lamborghini LP550, which is decked out in the colors of her clothing company, Canto NYC. On Sunday, Sept. 14, those interested in getting a closer look at the car that has become somewhat of a local celebrity saw it on display with hundreds of exotic cars at the sixth annual Gold Coast Concours/Bimmerstock event, presented by Martino Auto Concepts and benefiting the Diabetes Research Institute. “In exotic cars, I find a tremendous amount of art – the lines, the curves, the craftsmanship. It speaks to me personally, and I try to incorporate that feeling into my designs, which are sporty and empowering for women on the go,” said Del Prete-Rosten, whose clothing line is inspired by the rough and tumble world of exotics: cars, motorcycles and jets – a world she’s been exploring since the age of 15. Her first car? A Pontiac Trans-Am 6.6 Liter. “I was always the tomboy,” she said. “One of the most exciting things for me when I drive the car around the east end of Long Island is when the kids come up to the car wanting to talk to me about it and take pictures with the car. It’s a great feeling to see them smile,” she continued. The Canto car was among other classic racers, super exotics and specialty one-off vehicles, including Ferraris, Roll Royces, Porsches, Mercedes and customized BMWs, in addition to several limited-edition cars, such as a Lola, Enzo Ferrari and Ferrari Challenge racers at the Gold Coast Concours/Bimmerstock. The event was co-chaired by Joe LaPadula and Jon Holzer of Martino Auto Concepts – a facility Del Prete-Rosten says is “the only go-to place for anyone that cares about their car.” Top sponsors included: Competition BMW, Prestige BMW, and Rallye BMW, among others. While the cars were the highlight of the day, the event also featured entertainment for the whole family, live music presented by local bands The Lazy Dogs, Rolling Stoned and The School of Rock, plus prize opportunities and plenty of delicious food options, and all to support the Diabetes Research Institute’s mission to cure diabetes.